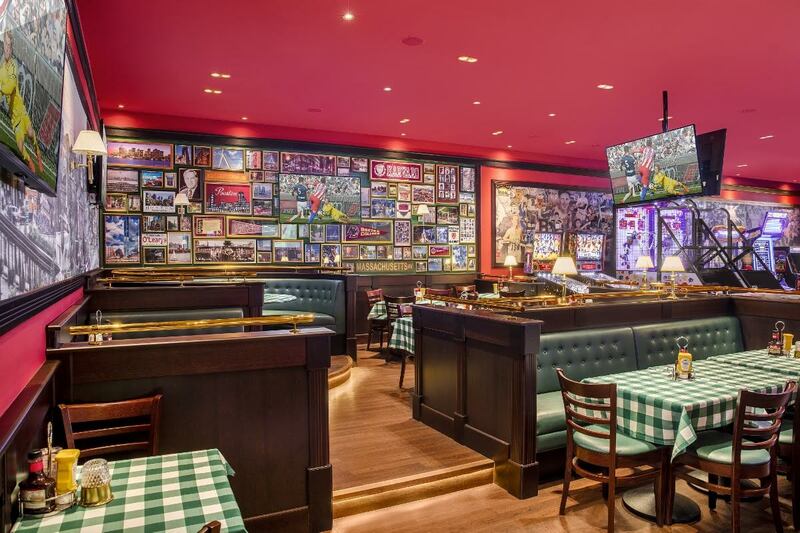 UAE-headquartered TIME Hotels is making headway with its foray into restaurant management, with the imminent launch of a second O’Learys US sports-themed restaurant on 20 September 2016. Occupying a prime location opposite Noor Bank metro station, the casual dining restaurant will have 250 seats spanning six different areas, including an outdoor terrace, dedicated shisha area and bar. The move marks TIME’s first O’Learys franchise in Dubai, following the launch of its debut outlet at Fujairah Mall in January 2016 – the company’s first ever non-hotel product. “Sport is all-inclusive, it brings together people of all ages and cultures and following the success of our first O’Learys outlet at Fujairah Mall, we are delighted to open our first restaurant in Dubai, alongside what is undoubtedly one of the city’s busiest roads – Sheikh Zayed Road, which affords high visibility for the O’Learys brand as well as a great opportunity for casual diners passing by,” said Mohammad Awadalla, CEO, TIME Hotels. The 596-square-metre restaurant O’Learys in Dubai is set to become a popular venue with an appetising menu of classic burgers, signature buffalo wings, cheesy quesadillas, ribs, nachos and desserts complemented by an extensive collection of non-alcoholic cocktails and soft beverages. For followers of the ‘big game’, a host of global sporting events await patrons of the newly opened restaurant, with an impressive collection of 21, 55 and three 60-inch television screens. Soccer fans will be spoilt for choice as the qualifiers for the European Championship finals get under way and the Champion League group stages kick-off. The UAE’s burgeoning golf market will be on the edge of their seat at the end of September as America try to prise the Ryder Cup from Europe. F1 aficionados have a number of races to look forward to, all of which culminate in the crowing of the champion at the Abu Dhabi circuit in November. Tennis supporters will revel in the ATP World Tour Finals in London while the Southern and Northern Hemisphere go head-to-head in a series of rugby union matches, much to the delight of the games’ supporters. The venue will cater to kids large and small with a number arcade games featuring pinball, Pac-Man, Transformers and gaming hoops, as well as foosball and air hockey. “It’s the perfect stop-off point, for a quick drink and bite to eat after work, a weekend family gathering, to catch a EPL football game or F1 race, or maybe just to enjoy the honest-to-goodness flavour of classic US diner-style food. That combination has universal appeal and O’Learys’ unique concept sits comfortably within that widespread casual dining market,” added Awadalla.